Angel Santiesteban, 18 November 2015 — On October 31, in the Museo Napoleónico de La Habana, the book, “The Faces of Padura: Work and Life of a Writer, ” a compilation of texts about Leonardo Padura, was presented. 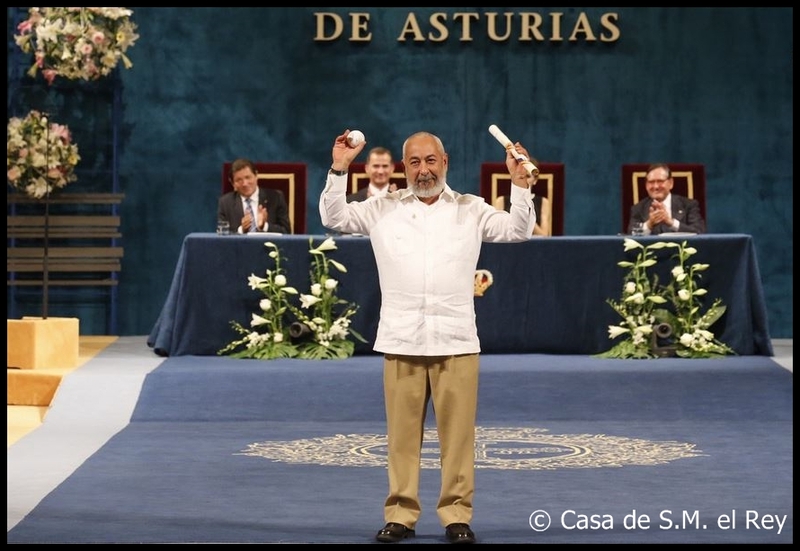 Padura was recently awarded the Princesa de Asturias de las Letras Prize. 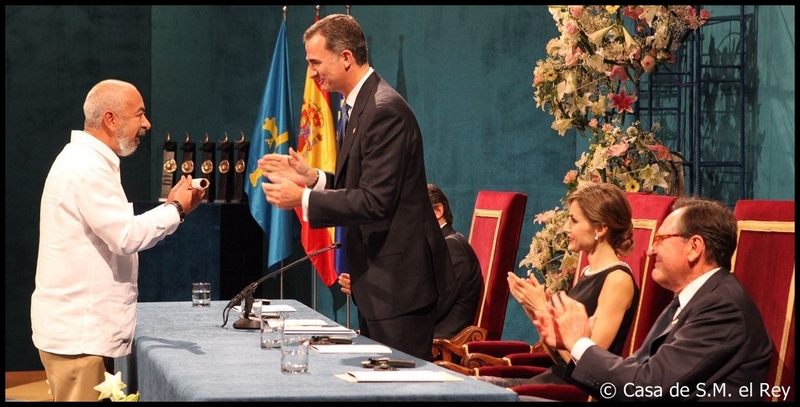 At the event, Padura shared the thank-you speech that was read in Oviedo before Spain’s royal family; words that should have been published by the Cuban press. But not only did they not publish them, but also in the official media it was completely ignored that for the first time a Cuban writer was given credit for such a prestigious award. This attitude of the Castro press is one more mockery of the Cuban people’s intellect, caused by that “cult of secrecy” so many were talking about in the last Congress of the Union of Journalists of Cuba (UPEC), where it was treated as something from the past, blaming the journalists themselves for unnecessary self-censorship, now that politics is not interfering in the news and its opinions. Which is to say that suddenly we had overcome the dictatorship and that we found ourselves in a State where there is free thought. But returning to the question at hand: the book about Padura could have been one more release for the world of the many that the distinguished Cuban writer completed; only this one was special because it happened on his terrain, surrounded by family, friends and his natural readers, and it was delightful because it was presented by colleagues from his generation, among them the writer Francisco López Sacha. But they couldn’t stop mentioning some irregularities around this event, like the rejection of eight cultural institutions which didn’t celebrate Padura, which is very alarming; of course, behind that was the sinister hairy hand of the Government, which has exhausted without success all its misleading strategies, praising him moderately in order to buy his silence and stop him from telling his truths and offering his critical evaluations about the reality of the Cuban people. 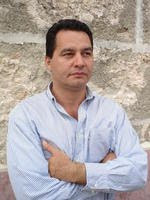 That Leonardo Padura — actually the most distinguished Cuban writer on the international scene — shares his books with readers at home is a deference that makes us grateful; however, that the Regime tries to make him pay the price for not being a writer who kneels before the manipulations of those who direct the cultural politics on the archipelago is an immense immorality, a brutal insensitivity, characteristics that are endemic to Caribbean totalitarianism. That his books, awards and presentations aren’t promoted as they should be with a National Prize of Literature shows a lack of delicacy and transparency of the cultural politics and the Government, which discredits itself even more (if that’s possible, given the shameful and repeated practice of this and other dirty tricks), ignoring and trying to “invisiblize” a writer who, in spite of not coming out directly against the system, still doesn’t accept gifts or pampering, as do most of the intellectuals and artists on the island. They at first tried to manipulate him with an open cynicism, through publications, national fairs, a homage in the Casa del las Américas, or with that final power of cultural officials, accepting that a jury award him the National Literature Prize, the greatest award for the work of a Cuban writer residing on the island. But, since Padura didn’t react before such “magnanimous” tokens — because here it’s only important that you have won, not that they decide whether or not you win — now the same cultural officials, who once called themselves his friends, are cold and distant in response. I also know that the filming of the movies based on his detective novels that have his character Mario Conde as the protagonist, has received negative responses to official requests from foreign filmmakers to use some sets, the same that are used daily to film short police programs for national television. The dictatorship thus holds a grudge against those who don’t bow their heads, against those who don’t permit the humiliation of being treated like objects, against those who refuse to be manipulated in order to abide by the designs of government power; all because they still try to ignore an irrefutable truth: art expands, endures and always wins against political power. Note from Angel’s editor: The compilation, in the charge of Agustín García, includes his texts, those of Francisco López Sacha, María del Carmen Muzio, Dulce María Sotolongo, Lorenzo Lunar, Rafael Grillo, Michel Encinosa, Enrique Saínz, Rafael Acosta, Rebeca Murga, Elizabeth Mirabal and Gustavo Vega, the filmmaker Lucía López, Leonardo’s wife and one from Padura himself. 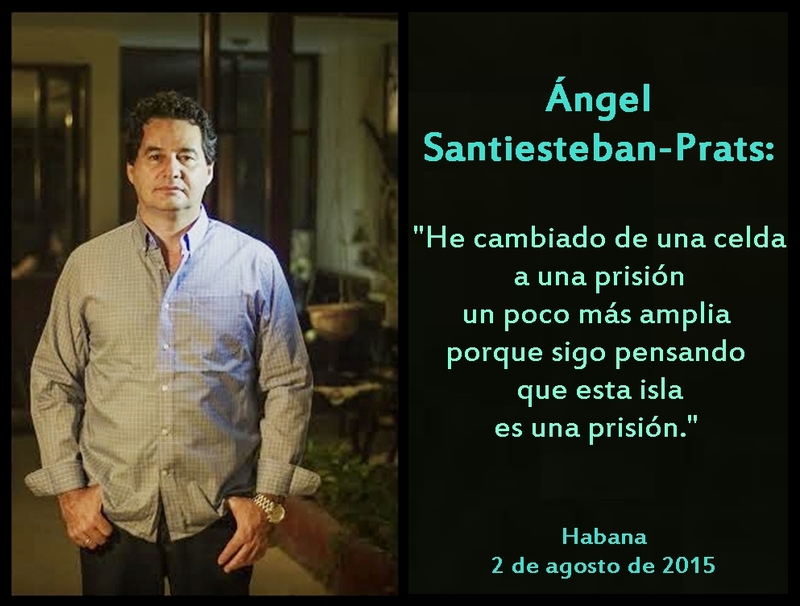 Elisa Tabakman (Blog Editor), 6 November 2015 — Angel Santiesteban-Prats was arrested on November 4, suspiciously, after reporting the previous day that the political prisoner Lamberto Henández Planas died in Combinado del Este Prison as a consequence of the hunger strike he maintained during his re-imprisonment, the result of a sinister new maneuver by State Security to lock him back up after 23 years in prison. What happened since Angel’s arrest at his home, and the new “Kafkaesque process” that ended in a summary trial, lasting only 5 minutes, in which they “revoked his probation and in the same act revoked the revocation because there are no reasons to re-incarcerate him” shows that they threw together a crude spectacle to draw media attention, releasing from the police station (where he remained until being transferred to the court) all kinds of false, absurd and contradictory versions, which we believe were concocted to cast a new shadow of suspicion on Angel and to discredit the serious accusation he made about Lamberto’s life, and incidentally, to continue the ongoing campaign they have mounted to destroy Angel’s reputation and to try to diminish the numerous international awards he obtained during his two and a half years in prison, something they well know has failed. Precisely for these reasons, we preferred to maintain a cautious silence about what was happening and to wait for Angel himself to explain it and not to keep playing the dictatorship’s game. This is an excellent opportunity to remind the dictator Raul Castro that Angel is waiting for the response to the Review of the judgment, filed July 4, 2013, and that was admitted to the 3 instances why it happened, proving that they have already acknowledged errors, irregularities, and violations of judicial procedures, because, it never hurts to remember, THERE IS NO OBLIGATION to acknowledge the revisions, only to acknowledge them when such “mistakes” are proven. General Raul Castro, it is very sad to go down in history through the sewer, to be remembered by posterity as a violator of human rights and the architect of all kinds of crimes against humanity.